WOMEN & MEN - Does the gender matter when translating? Thread: WOMEN & MEN - Does the gender matter when translating? 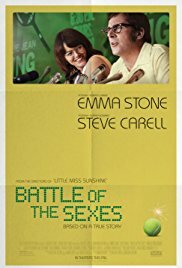 The old push'n'pull of the battle of the sexes has been portrayed lately with more union rather than separation. It appears as so the now growing place of the female human has pushed the dial to positive in more and more parts of our everyday culture. Showed, in my opinion, a story about the prejudice of the men in power with the fear of losing their position and not about the polarity of women & men. I left the movie thinking about the characters and their trouble, and not a feeling of defeat against womanhood. Sure there are still marches to establish a better situation that reminds us we are still not quite there yet, but i believe we are in good way. HOWEVER! We are different, we are not the same, in every culture there is a very visible line that separates woman & man. "What we write, when we write about love", an article of last year's NY Times that strike with me how we are different but with a same interest. Do you see this in translating? If a book written by a woman is translated by a man(and vice-versa), Does it lose part of it's essence by the choose of words? Re: WOMEN & MEN - Does the gender matter when translating? If the translator is a professional translator, then it shouldn't matter their gender. The main objective of literary translation is to portray the meaning the author originally intended. So, word choice is not motivated by gender, background or creed. Word choice is already given by the author. The translator just makes sure they use the correct word/phrase that would recreate that same idea in the target language and have the same impact in the target culture. I don't agree on this point with agustinab. While that's one way, and a valid way, to translate, it's not the only one. Borges used to say the best translators aren't shy about changing a text if need be, and that sometimes, translations can be quite different from the original. Perhaps that had a lot to do with him being both a writer and a translator, but I believe his point stands. Also, when talking about the translation of poetry mainly, one has to make a conscious choice between keeping meaning or form and musicality. It's usually impossible to keep both, and usually the most important aspect is form, so, the translator is free to change the content as long as the rhyme and music is kept. I have this problem all the time with Arabic translations for medical forms for instance, where the "you" can be translated as male, female, dual, or plural (4 options!!)!!! How about trans-gender and the LGBTQ community? That article talks about trans-gender women written books. That means that there probably is a trans-gender translator, with the best of both worlds? I found another very interesting article! “There’s an idea that Homer has to sound heroic and ancient,” Wilson told me, but that idea comes with a value system attached, one that includes “endorsing this very hierarchical kind of society as if that’s what heroism is.” Telling the story in plainer language allows readers to see Odysseus and his society in another light. The whole thing is worth it. However, as human beings with their own opinions and points of view, you are welcome to disagree and/or agree. What do you think about this? Agree or disagree? Still, seems a bit contrived if you ask me. Nobody can deny women are portrayed as a sideshow to men, as passive characters and such, but hey, it came from the pen of a man in the golden age of misogyny. When you read a book this ancient you kind of have to be aware you're not going to find a reflection of the values of our current times. Hence, this "alternative" translation, while valid, is hardly definitive.